Receive a free tea or filter coffee when you purchase a sandwich or panini in the BMI Coffee Lounge. Receive free entry (worth £5) to the BMI’s Monday Lunchtime Lectures which take place 1-2pm. Established in 1854, the BMI has a cultural programme of events and activities focusing on arts, science and literature. 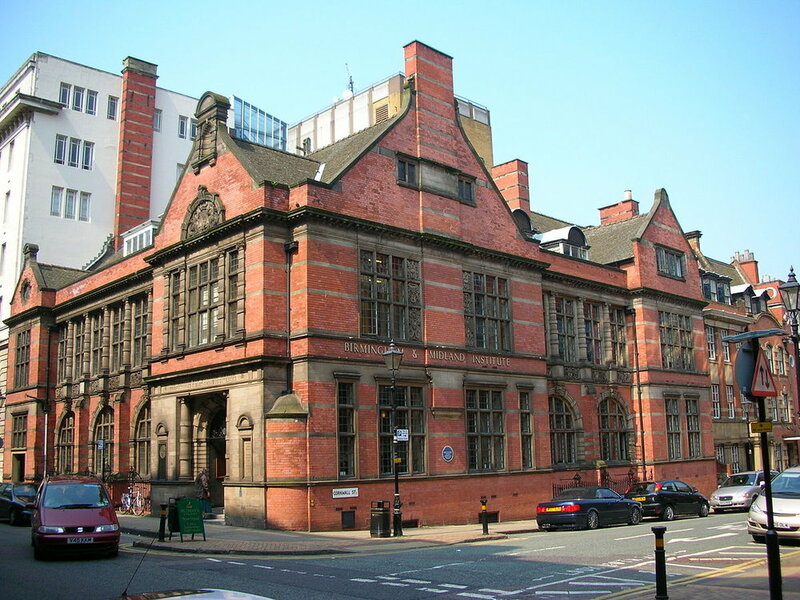 Located in a Grade II* listed building, the BMI has a thriving programme of cultural and educational activities, which includes a wide spectrum of arts and science lectures, exhibitions and concerts. The building is also a venue for many externally-organised events and can be booked for conferences and meetings. We do not currently receive any external funding; our income is generated through room hire and events. The BMI is also home of the original Birmingham Library, established by the local button maker, John Lee, in 1779. It houses over 120,000 books including volumes from the 18th century as well as many 19th and 20th century purchases, including books on history, literature, natural history, science, travel and fiction, specialising in late 19th and early 20th century novels.